Matt possesses a track record shared by only a handful of real estate professionals. With more than a decade of unprecedented success in the Washington real estate market, he quickly secured a position in the top 1% of agents nationally and brings an established reputation to fine residential living. Matt is known for his focused and friendly approach. He has a particular expertise with historic homes and luxury condominiums and cooperatives. He delivers his clients an in-depth understanding of the local real estate market, a keen talent for negotiation and incorporates a high level of integrity with each client interaction. 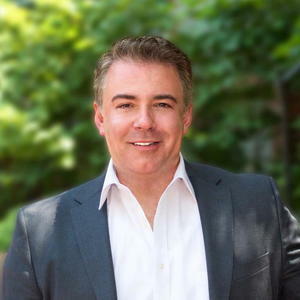 Matt’s real estate career began in 2002 at Long & Foster Real Estate Woodley Park where he was a top producing agent. As a result of his success, he was recruited as a partner and founding member of the Keller Williams Capital Properties Bethesda office. That office achieved recognition as the most successful new office launch nationally in 2013, growing from a handful of agents to more than one hundred and sixty. In 2016, Matt was tapped as Vice President of Compass Real Estate, bringing with him a career that included more than 325 successful real estate purchase and sales. Prior to his career in real estate, Matt was a foreign currency trader for Ruesch International in Boston, DC and New York. He later served as Country Director for their Zurich, Switzerland office at just 25 years of age. He was the youngest Director in the company’s history. Returning to the U.S., Matt accepted a consulting position with Bearing Point/KPMG in their public sector practice, and then after two years was recruited to manage mortgage-backed security products at Freddie Mac. A 20 year resident of Washington DC (and a historic homeowner himself in the U Street Corridor), Matt is an active participant of civic associations and has served as a board member for Calvary Women’s Shelter in Washington. He is a certified diver in SCUBA, an appreciator of architecture and an avid international traveler.